A Miracle of Science: I don't have any solution but I certainly admire the problem. It is official. Very stupid robots think about socks. On the science front, the idea of piling a lot of computer power together to make a more powerful computer is not at all new. The Stone Soupercomputer at the Oak Ridge National Laboratory is one of the exemplars of this method of creating powerful computers, and the Soupercomputer's site is a deep resource for links to other information on the subject. 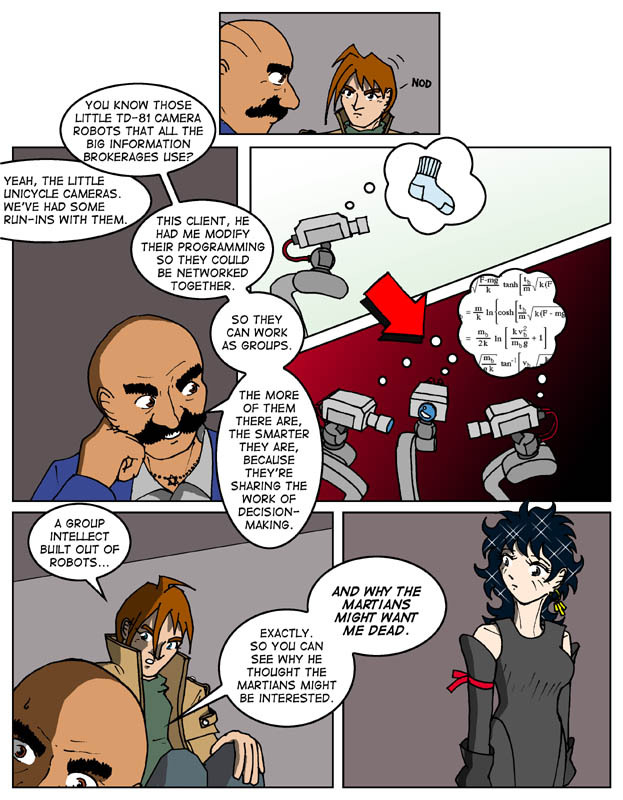 In case you hadn't realized, this comic is both written and drawn by utter computer geeks. Argh. Too many mundane hassles to deal with. Talk later.